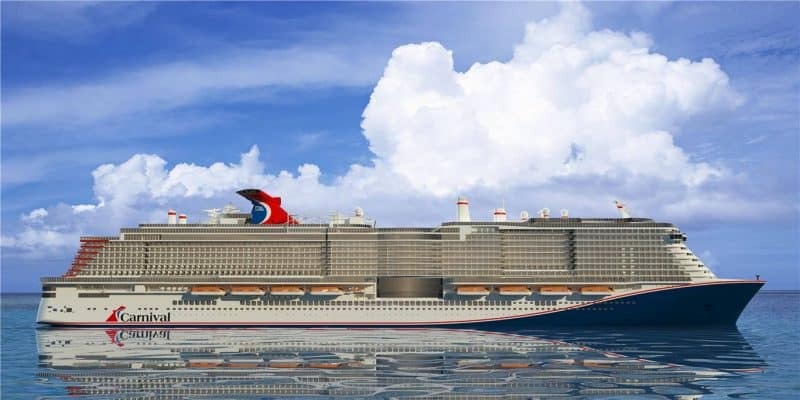 Construction has now started on the largest ever Carnival cruise ship and a new livery design for the ship hull has been unveiled. These are the biggest details released so far on the new generation LNG cruise ship. 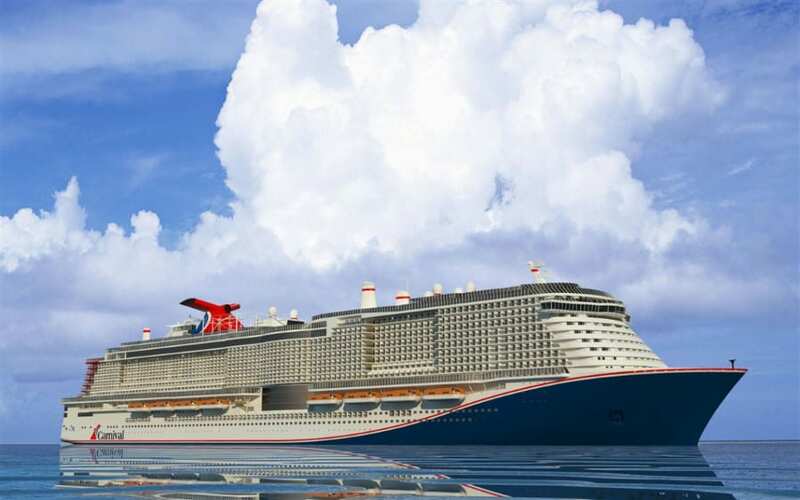 Carnival Cruise Line has reached a major milestone today with construction commencing on the future 180,000 gross ton ship. The largest ever ship built for the cruise line will be fully powered by Liquified Natural Gas (LNG) and is being built at the Mayer Turku shipyard in Turku, Finland. 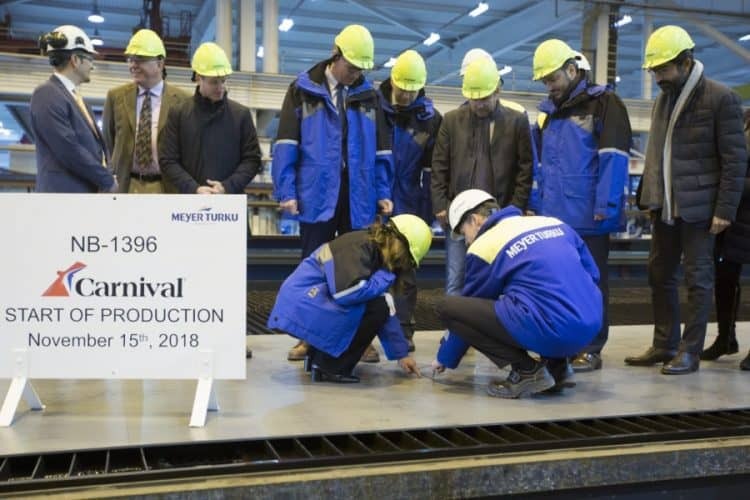 A ceremony was held at the shipyard to mark the traditional steel-cutting ceremony which was attended by the cruise line and shipyard executives. It’s the beginning of a long process where those pieces of steel will make blocks and then the block will come together to make the ship as one. During the event at the Meyer Turku shipyard, a new livery design was unveiled for the yet to be named vessel. The artwork is a dramatic new red, white and blue design which is to celebrate the legacy as America’s Cruise Line. The livery was developed by New York-based Bluarch Architecture and is inspired by Carnival’s iconic colors throughout the cruise industry. The livery runs the full length of the 1,130 foot-long vessel. The unnamed cruise ship will be based out of Port Canaveral, Florida once she joins the fleet in early 2020. Carnival Cruise Line will reveal the name of the ship early this December. The ship will have a large passenger capacity than any other in the world even Royal Caribbean’s Oasis-class. There will be a 5,200 lower birth capacity and this will be much more at maximum capacity. The cruise line will also be announcing details on her inaugural cruises and onboard features in 2019.